With looming elections on their minds, Greek Prime Minister Alexis Tsipras and his North Macedonian counterpart Zoran Zaev sought on Tuesday, during the former’s official visit to Skopje, to highlight the benefits that will accrue from the Prespes agreement ratified by the two countries earlier this year. “You are looking at two neighbors, friendly people who have shown Europe and the entire world that with brave decisions and good wishes for togetherness, something that was impossible yesterday has become reality today,” said Zaev. The two men, who exchanged niceties, took selfies together and embraced, expressed confidence that with the six bilateral deals signed on Tuesday, the relationship between the two neighbors has entered a new optimistic phase, with Greece emerging as “great benefactor” of North Macedonia, with its promises of investments, security and a European future. Among the deals signed was one allowing Greece to patrol the skies of North Macedonia, which has no fighter jets. “For years, every time I would go to Europe with the government aircraft... 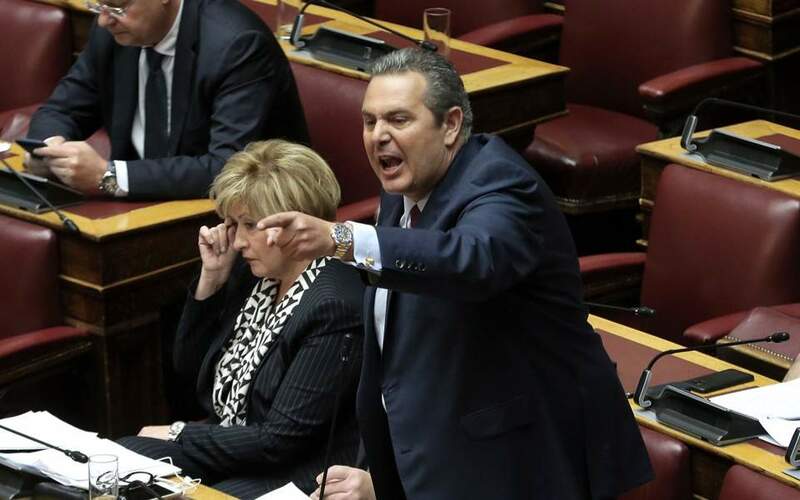 I noticed that the pilot made a deviation so it wouldn’t enter the airspace of [the Former Yugoslav Republic Macedonia],” Tsipras said. 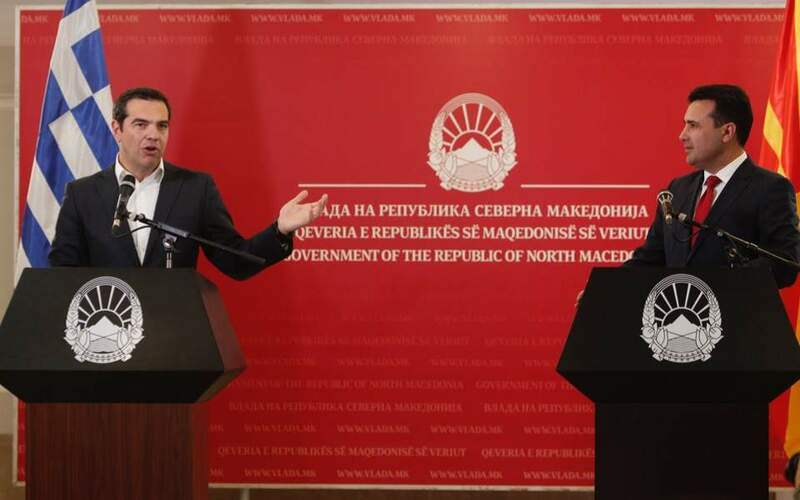 Speaking to reporters in a live radio and TV broadcast beamed to North Macedonia and Greece, Tsipras and Zaev appeared unfazed when asked what fate awaits the Prespes accord if they are both succeeded by their opponents – namely New Democracy leader Kyriakos Mitsotakis and the VMRO DPMNE’s Hristijan Mickoski. Both opposition leaders have opposed the name deal. Tsipras insisted that despite the opposition expressed by Mitsotakis, the conservative leader has provided reassurances that he does not intend to put the agreement in doubt in the future no matter what position he is in. “Democracies have rules, the sovereign parliaments vote and the agreements that are approved are ratified and bind countries in perpetuity on the basis of international law,” said Tsipras, who also said he was confident that he will win the national elections. Zaev insisted there “will be no politicians who will act against the will of the people” and predicted that both opposition leaders will, in time, back the agreement as they will realize its many benefits. 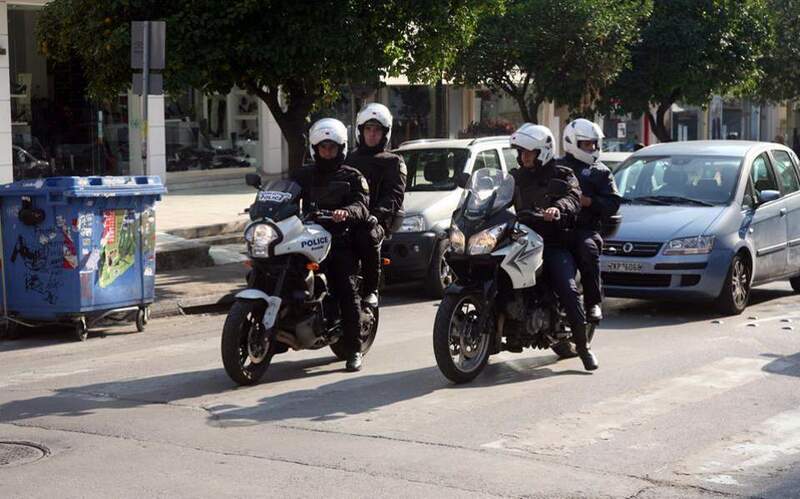 The festive atmosphere during Tsipras’s visit was in stark contrast to the palpable tension in Thessaloniki, where Parliament Speaker and SYRIZA member Nikos Voutsis was heckled by demonstrators during a party event at City Hall. 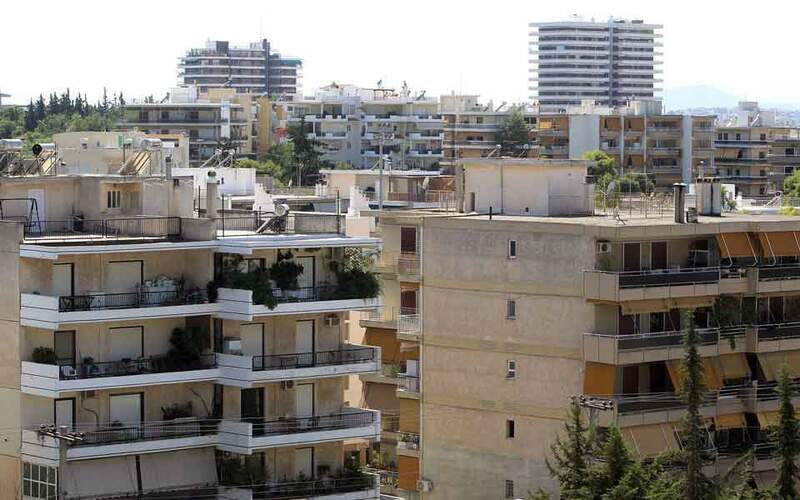 Meanwhile, Tsipras’s reference to Thessaloniki airport by its former name, Micra, instead of Makedonia – its name since 1993 – raised eyebrows in Greece, with many reports wondering whether he did so intentionally.